Home › Lifestyle › What would you do if you were not afraid? I am half way into Sheryl Sandberg’s book titled, ‘Lean In’ and I must say its been a good book so far. I think she deserves to be commended for the research she has put into each chapter and I particularly love the way in which she was able to tie her arguments into her personal life stories. She also does a good job of not only celebrating her successes but also acknowledging her failures thus making it humane. For instance, it was quite humbling to read her accounts of how she succumbed to parental pressure by getting married first year out of college at the age of 24 but got divorced a year later because it wasn’t working. Fast-forward 10 years later, she met and married Dave Goldberg whom she claims to be happily married to. So I guess it pretty much worked out for the best in the end. I have thought long and hard about the things I could do if I was not afraid. I have asked myself why I have failed to do things in the past and I realised that the only logical reason for not just getting on with it then was the fear of failure. 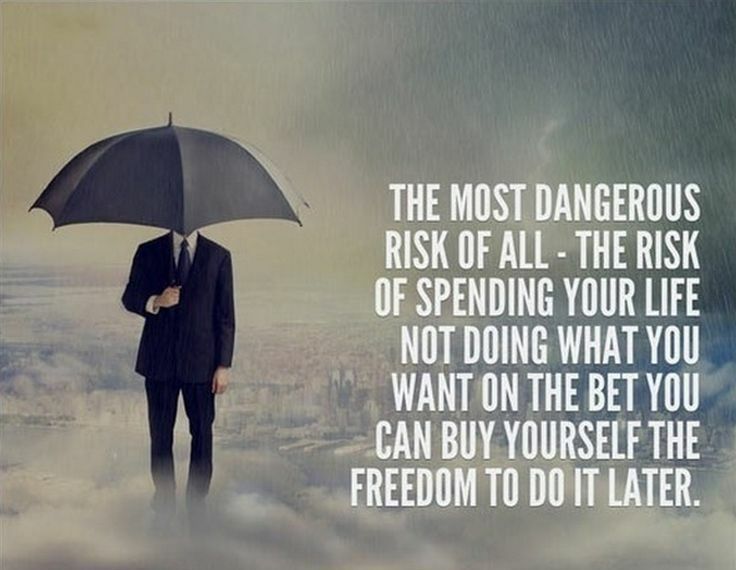 I am more of a pessimist rather than an optimist (but I am working on it) and most times I think about the million and one reason a decision I am about to make will fail before I even attempt to consider some of the factors why the decision could be the best thing to make at that point in time. Fear is thought to be that unpleasant and often strong emotion caused by anticipation or fear of danger. Research suggest that human beings are born with two innate fears – the fear of falling and the fear of loud or sudden noise. Every other fear is learned as we grow older through what we allow into our minds either through our eyes and ears. Also, shared experiences of other people’s failures and successes can also be imputed into our brain and we try to guide against making the same mistakes thereby adding to our fears. However, while you might not be able to hit the delete button of certain memories or bad experiences, one effective and proactive way of dealing with our fears is by actively confronting them provided it is done in a safe (safety) and controlled environment (control). So always think safety and control. Personally, I am of the opinion that there are certain fears that some people just can’t overcome. For instance, I was bitten by a stray dog as a child and this has made me develop a fear of dogs till date. Confronting this particular fear of mine will not happen any time soon. However, every now and then I face my fear of public speaking and I must confess it does get easier with time and experience as long as I am knowledge about the subject area in which the talk relates to (control). I have seen the fear of failure make people (myself included) to stay in abusive and loveless relationships that isn’t working for both parties anymore rather than walk out or take a bow. Fear makes us believe that this is the best we can do at that point in time. Other times, we are just not courageous enough to leave because of the fear of loneliness, rejection and my personal favourite “what will people say?”. So we just carry on with it, with lots of prayers and supplications to God hoping and trusting that things would change for the better. Or we console ourselves that God is taking us through this journey to build our faith thereby making us stronger, wiser and better individuals. But really! Who are we kidding! These are just lies we tell ourselves to justify our self-inflicted ignorance and cowardice. A senior colleague at work told me that fear can be positive and negative. He says, “while the lack of fear can make you careless (negative) the presence of fear makes you cautious (positive)”. However, the negative sometimes outweighs the positive. For instance, fear can have a crippling effect on your career growth within an organisational setting when you are afraid to go for that vacant senior executive position probably because you feel you might not succeed or you think you lack the experience. And as Sheryl rightly pointed out “…we hold ourselves back in ways both big and small, by lacking self-confidence, by not raising our hands,and by pulling back when we should be leaning in” . So her advise is that “…if you are offered a seat on a rocket ship, you don’t ask what seat, you just get on”. 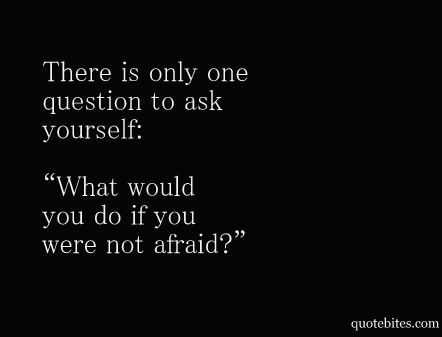 So to the question at hand, what would you do if you were not afraid? I have spent the whole week listing out things I would do if I was not afraid. I also asked a couple of my friends the same questions and this was what I have complied so far. Please feel free to add yours as well.